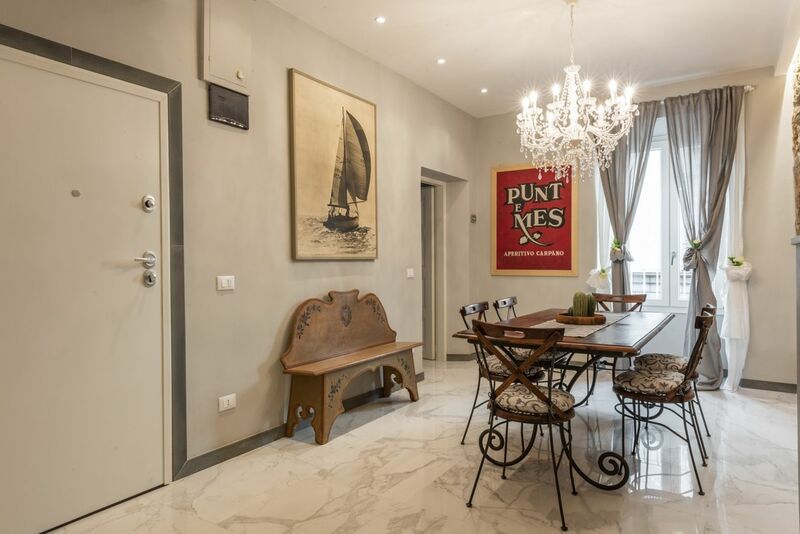 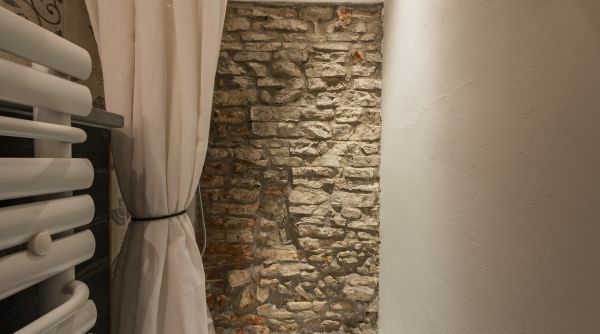 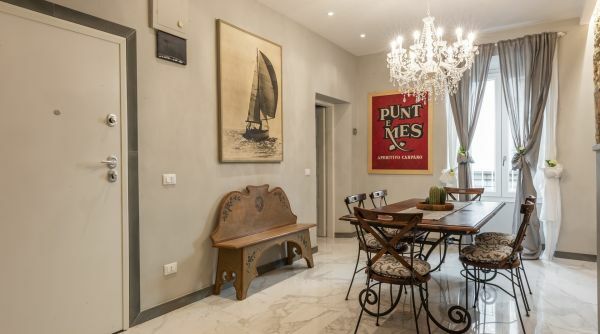 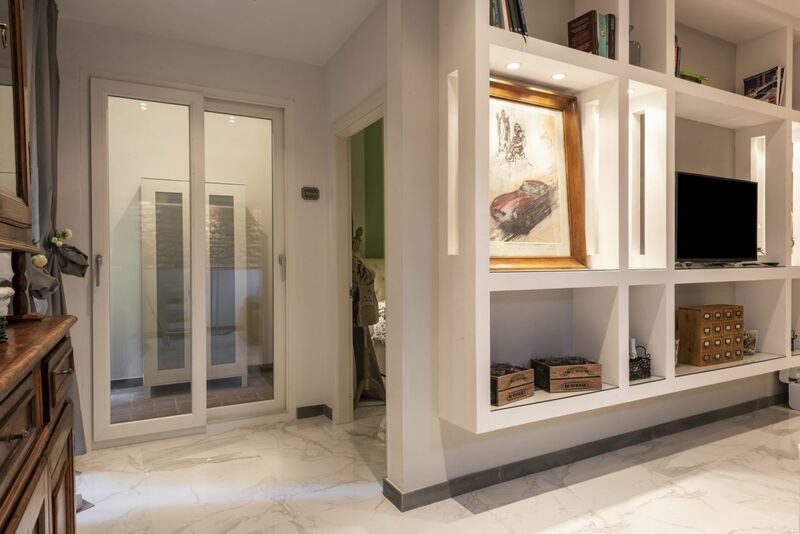 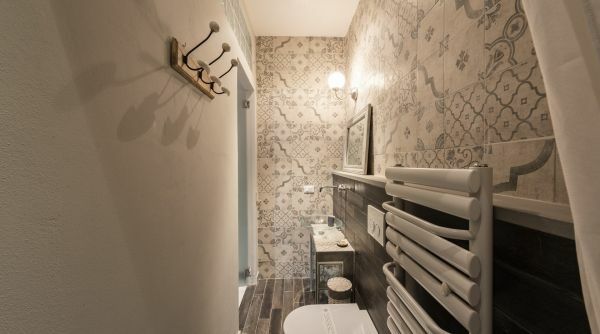 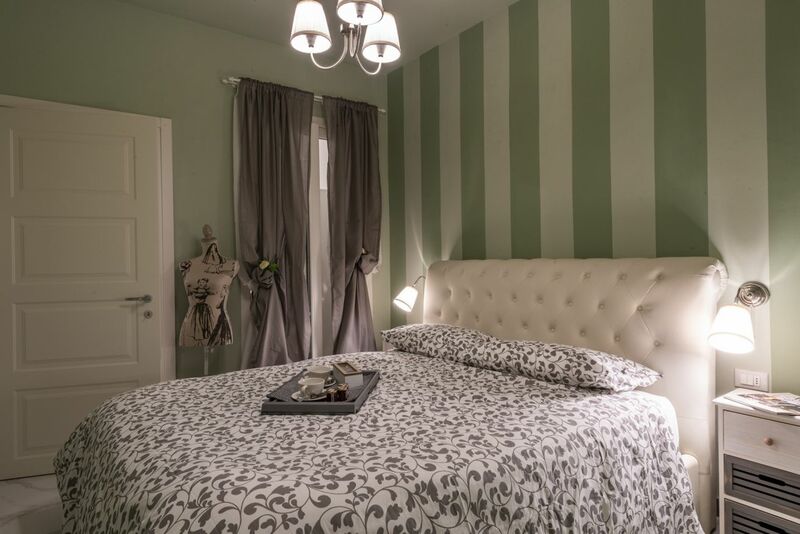 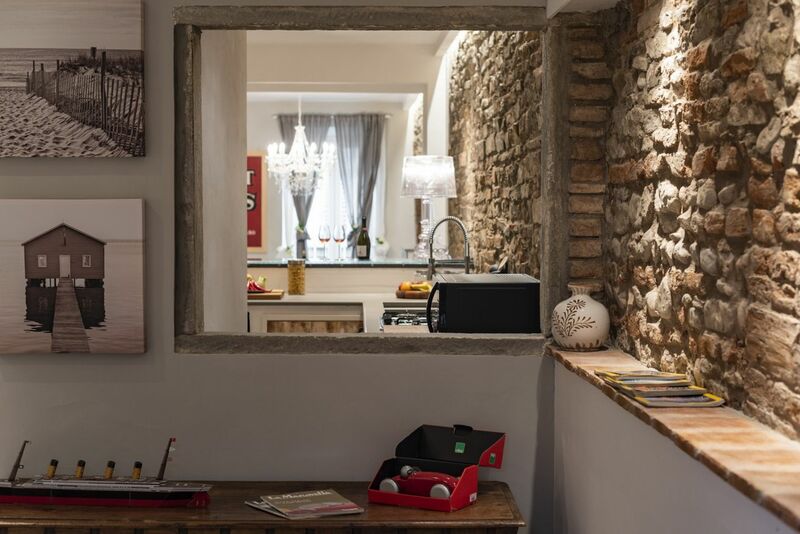 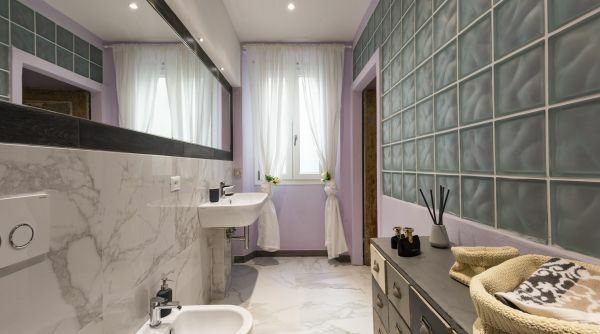 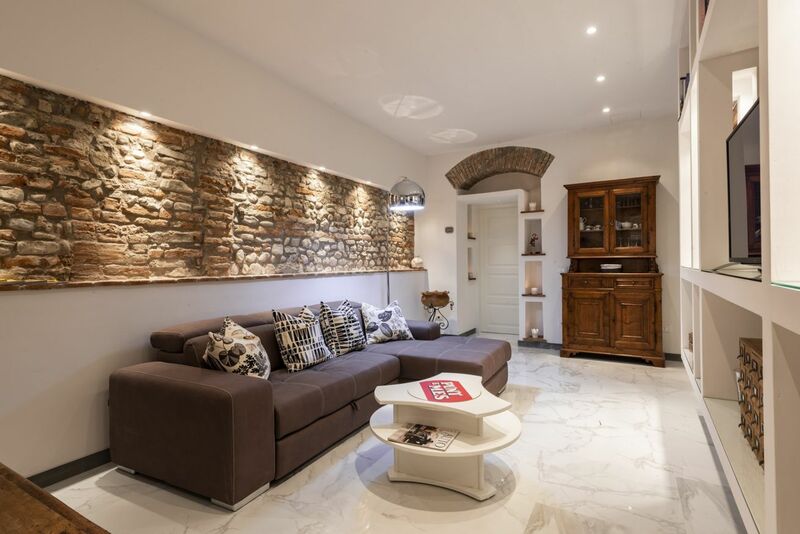 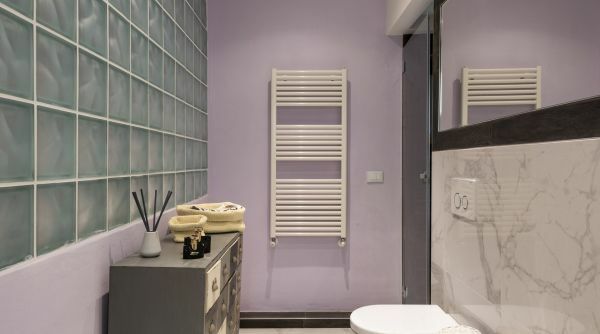 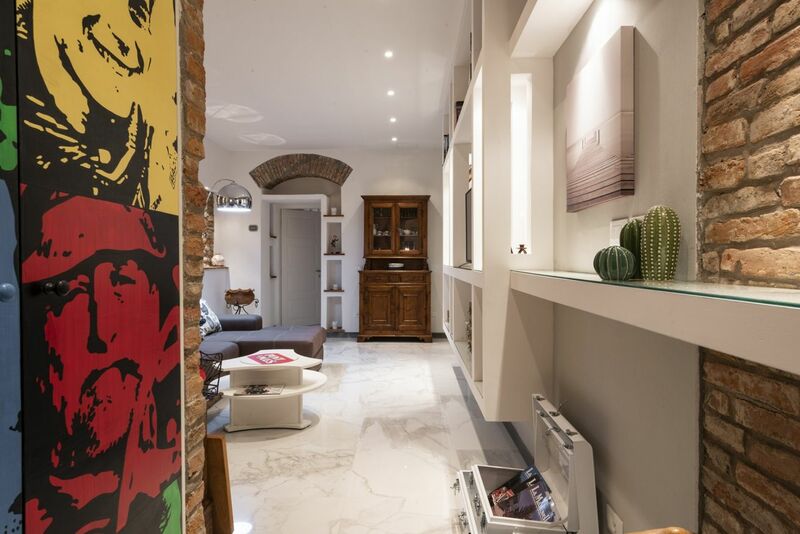 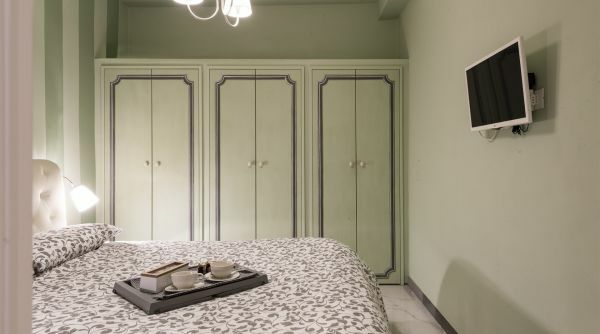 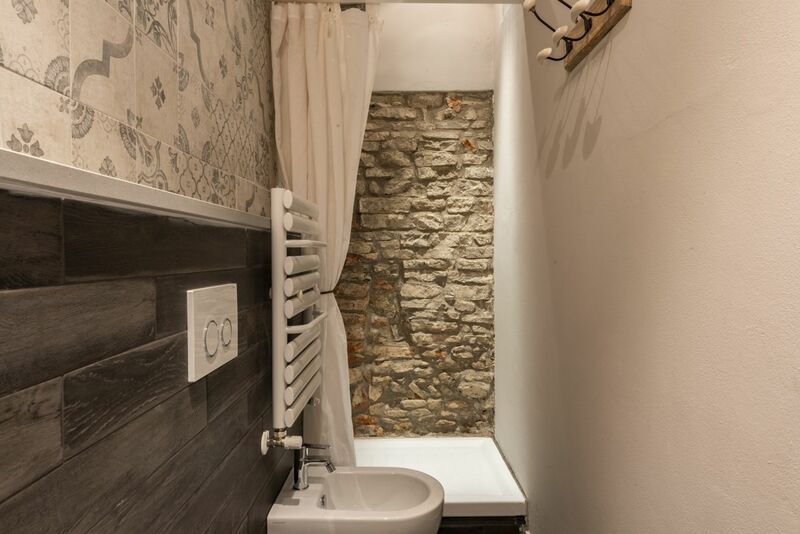 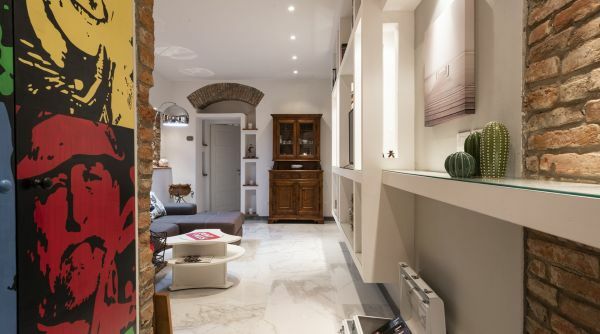 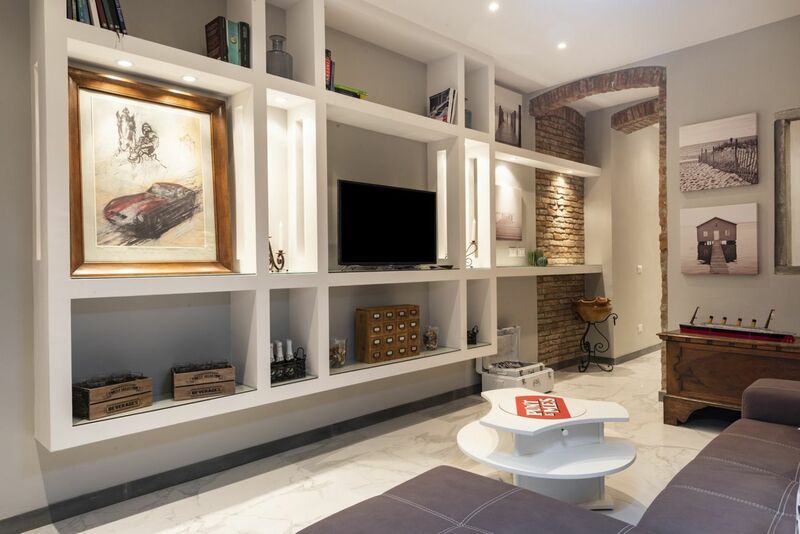 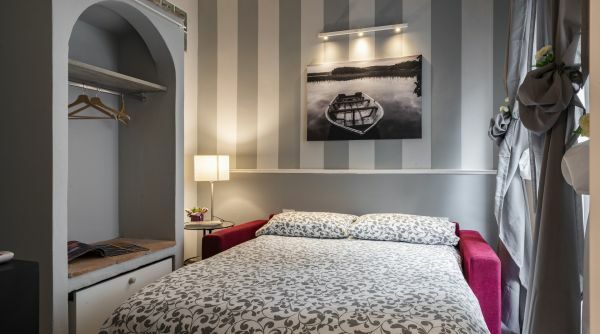 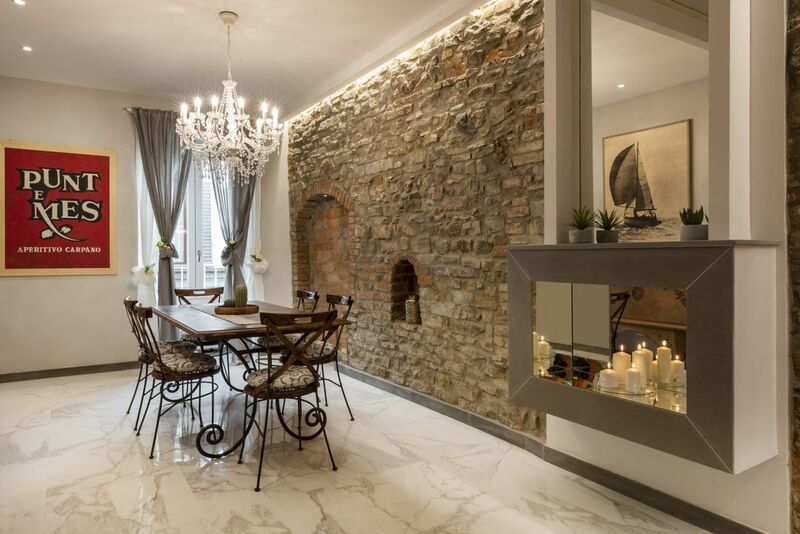 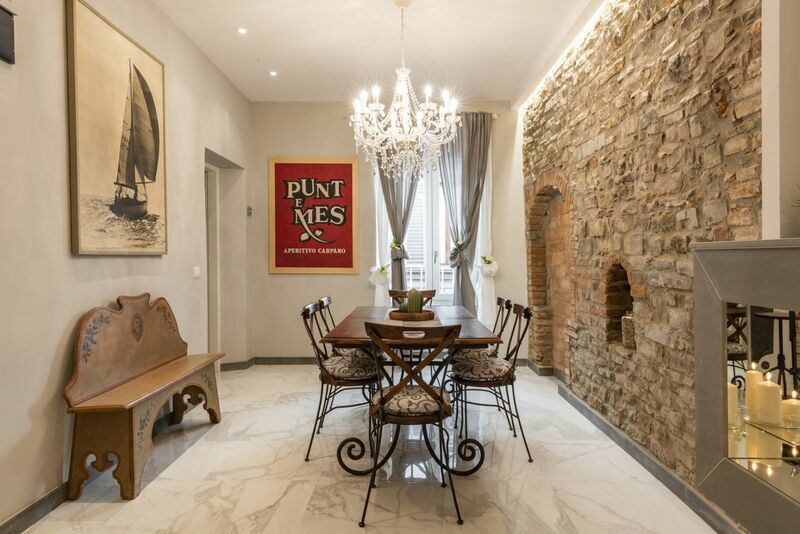 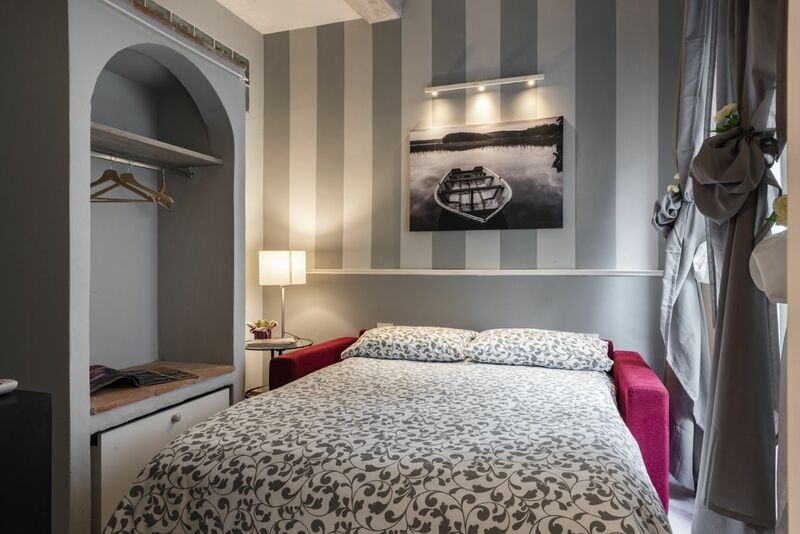 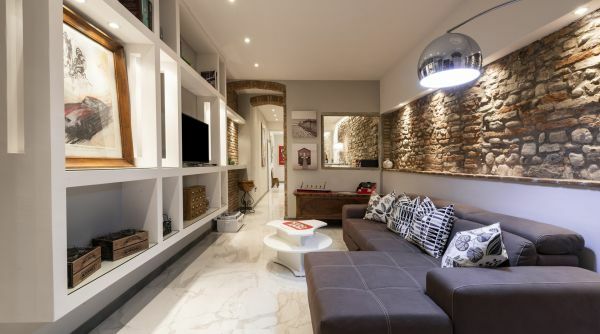 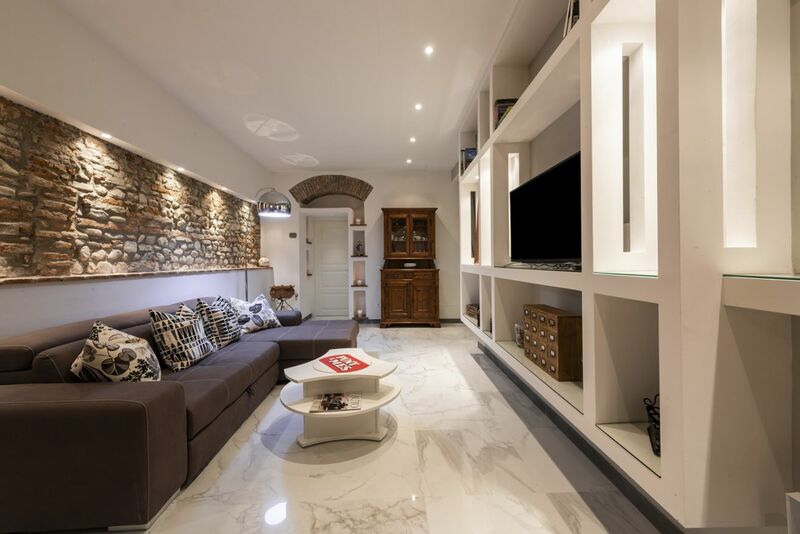 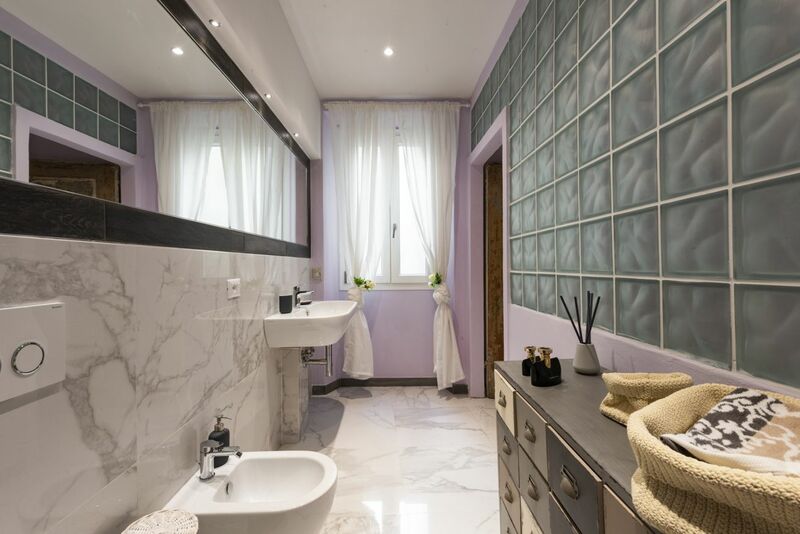 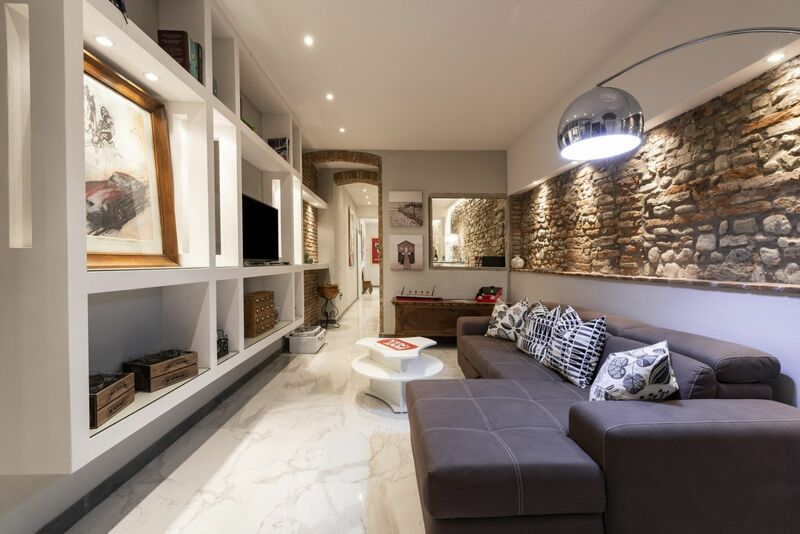 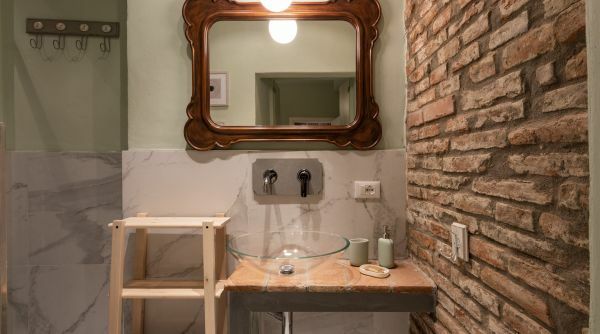 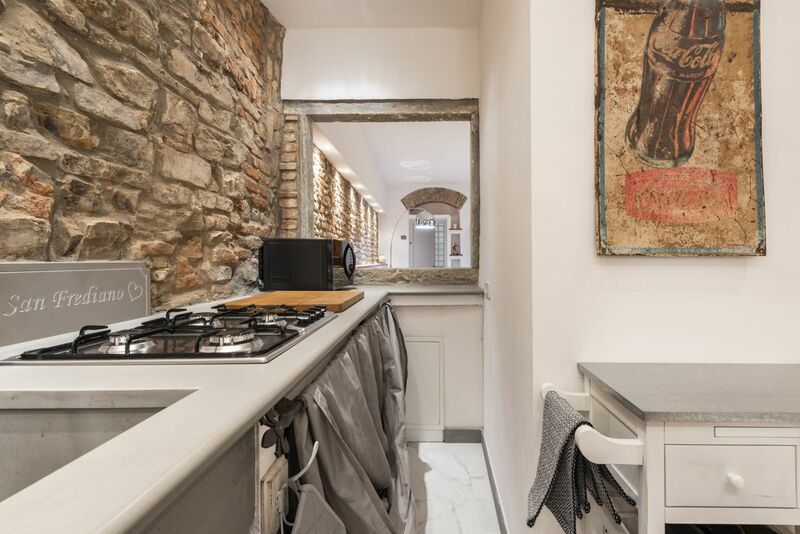 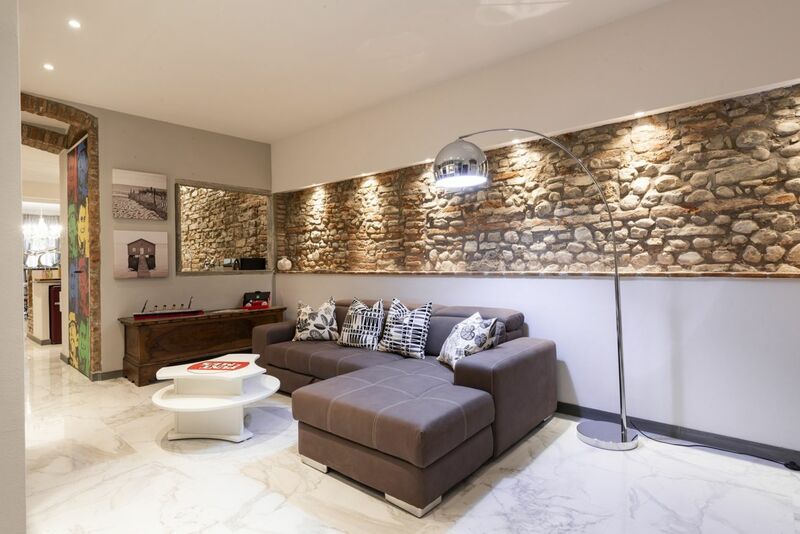 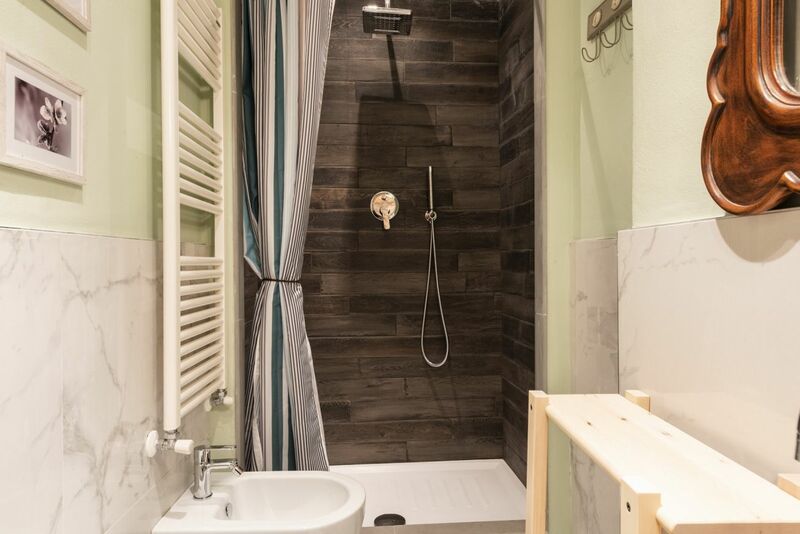 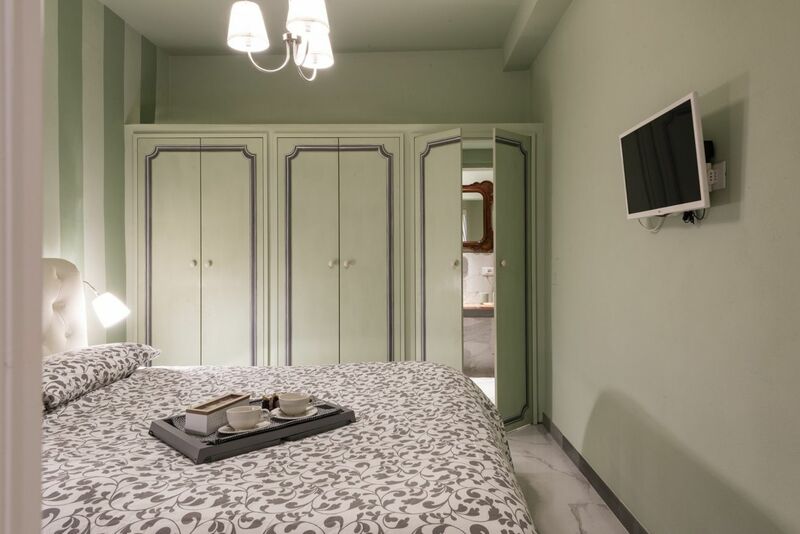 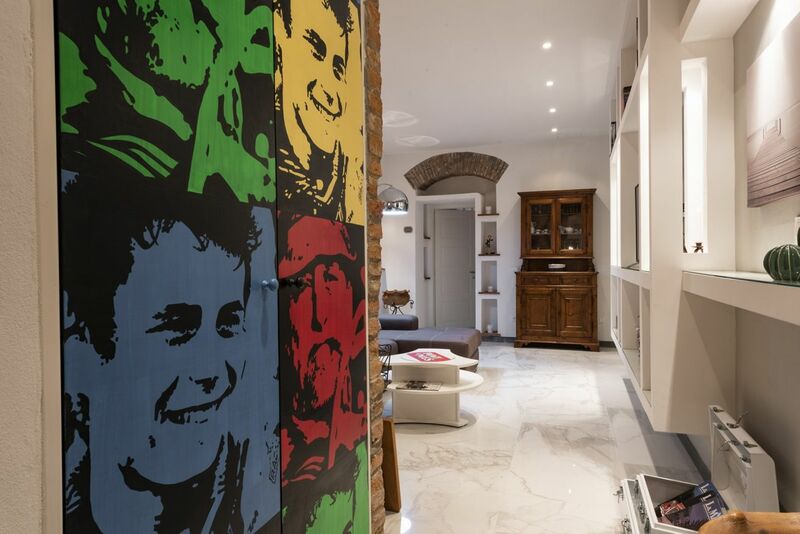 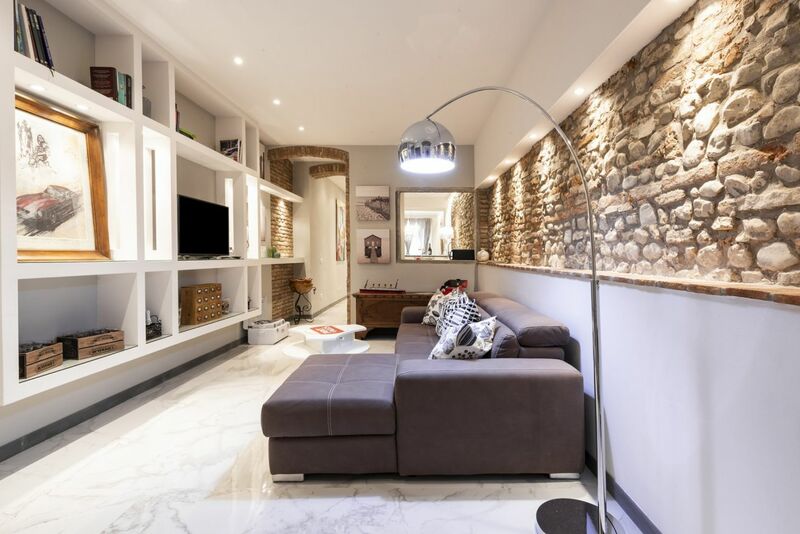 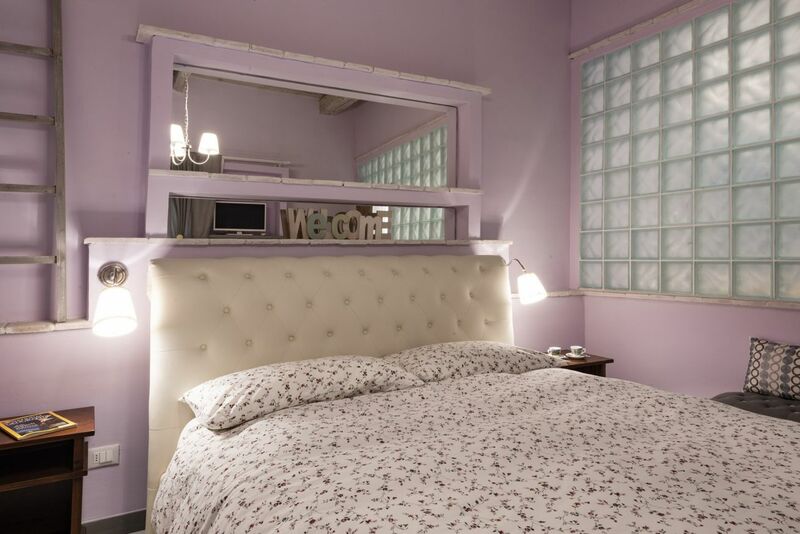 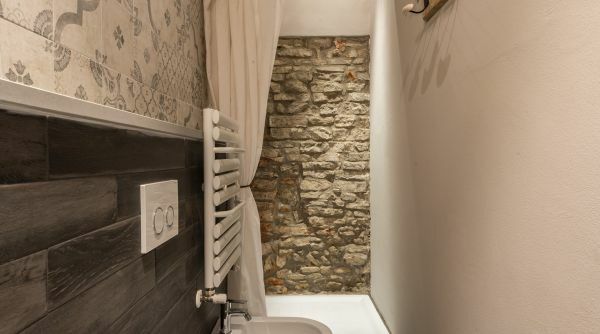 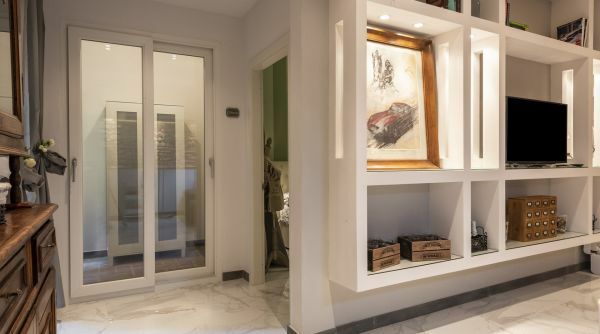 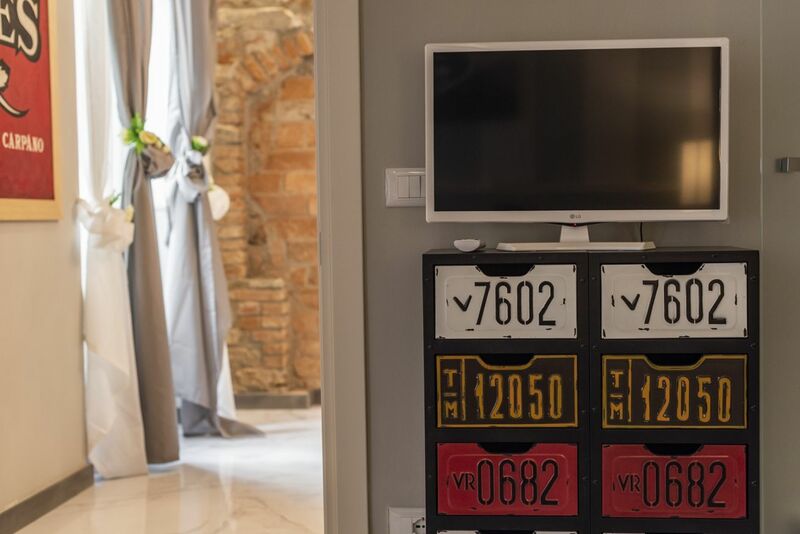 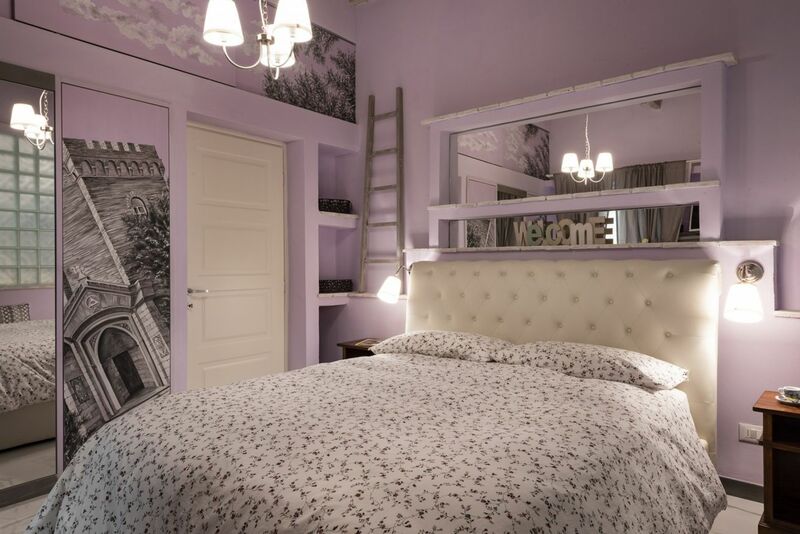 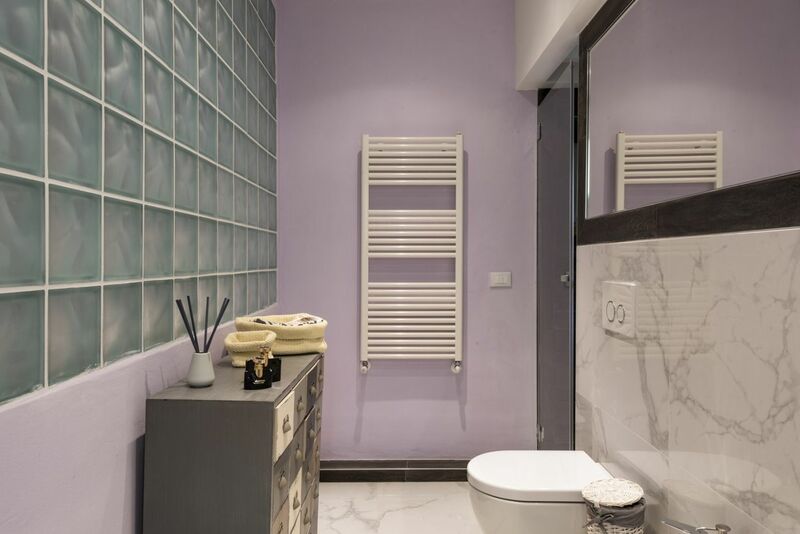 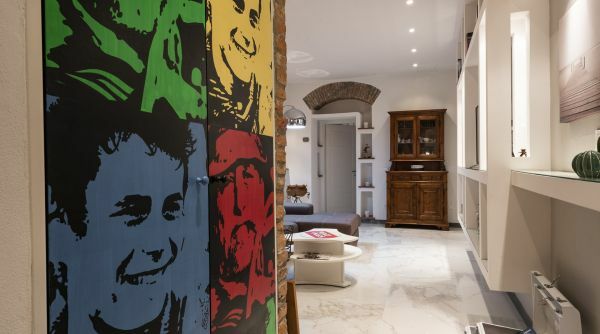 This is a beautiful colorful and trendy apartment, recently renovated in the San Frediano district next to Piazza del Carmine and Santo Spirito! 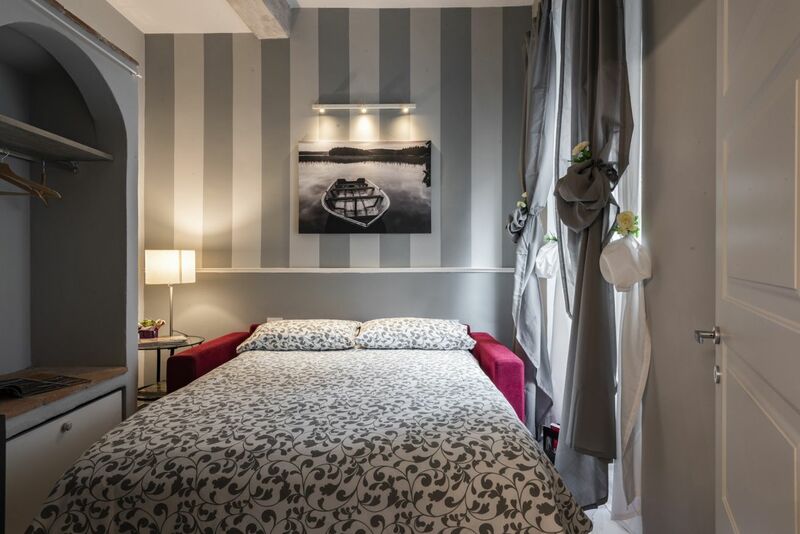 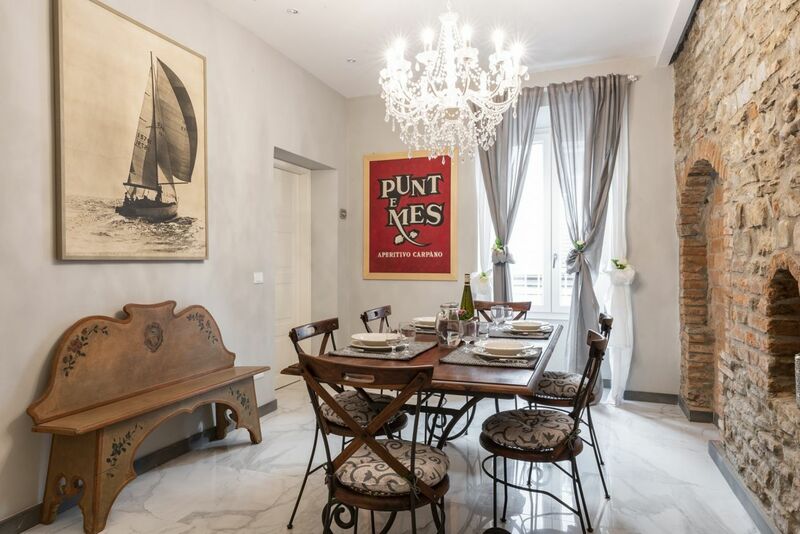 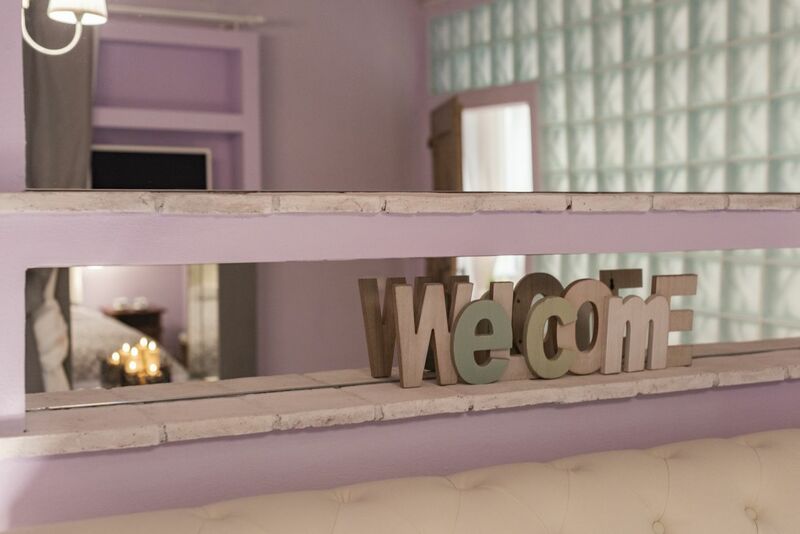 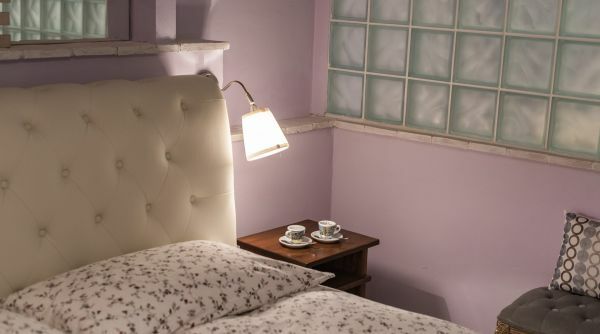 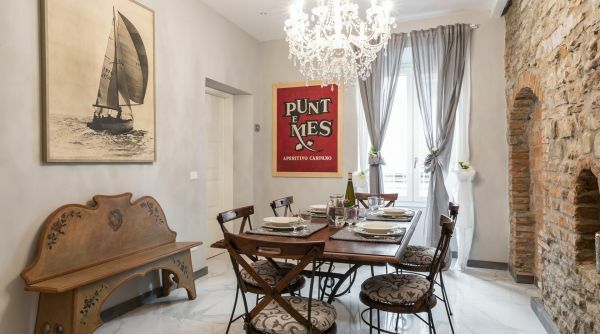 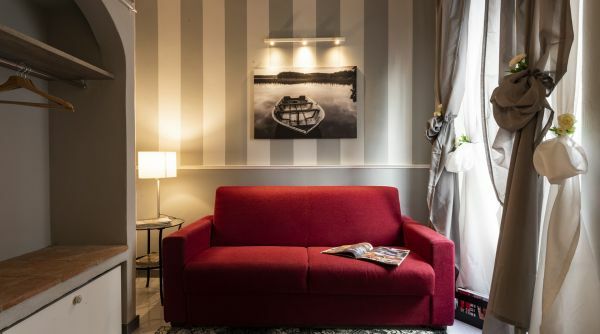 The whole place has recently been refurbished following a style that combines traditional Florentine features with modern touches resulting in comfortable but fun spaces. 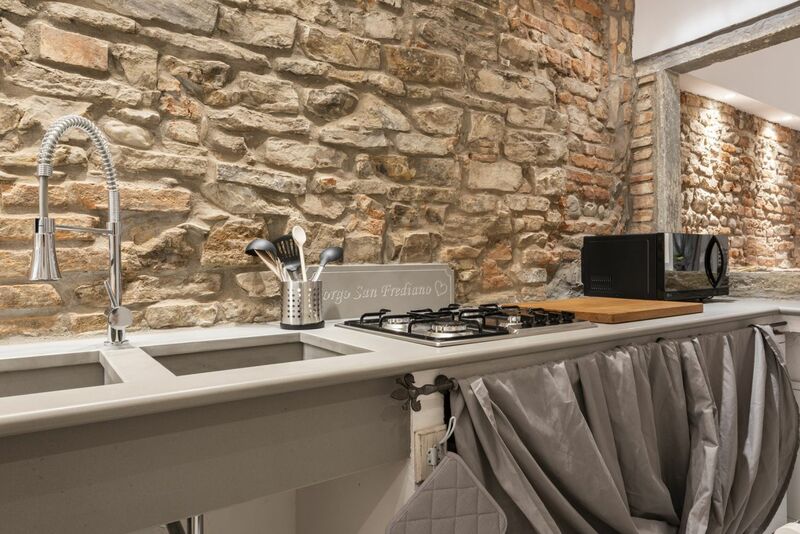 Upon entering you will find an open space divided into the dining area on the left hand side, and a studio (with an ensuite bathroom). 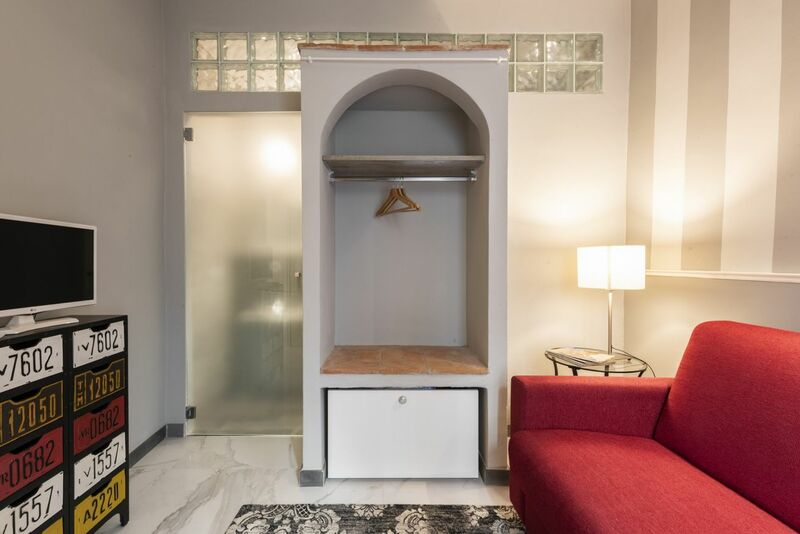 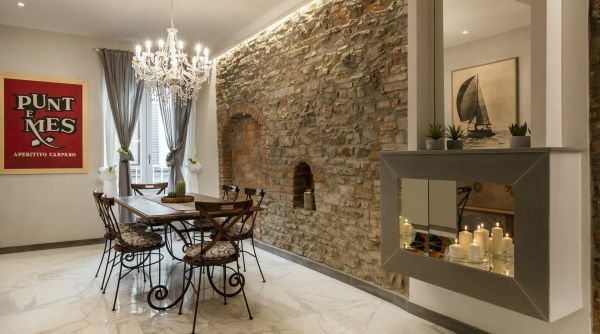 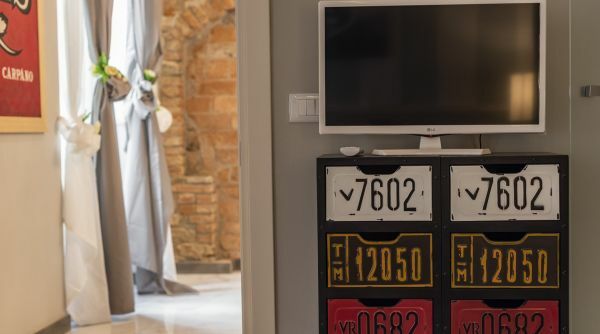 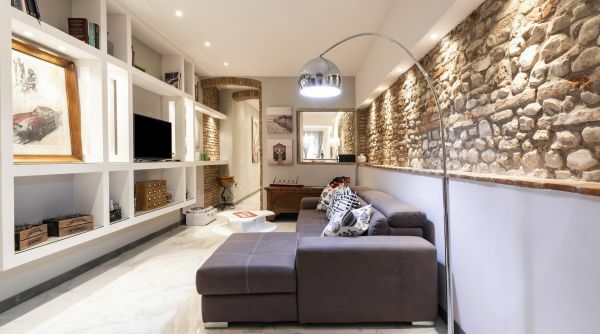 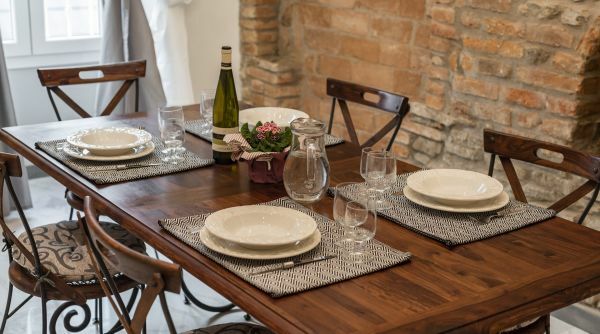 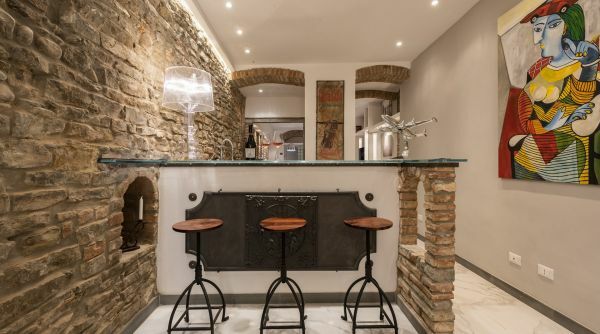 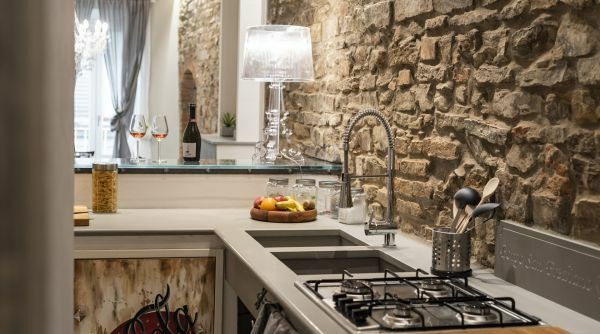 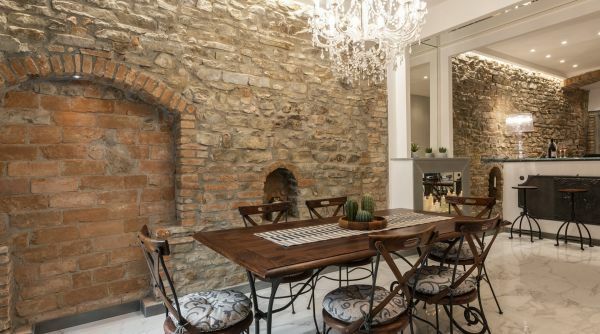 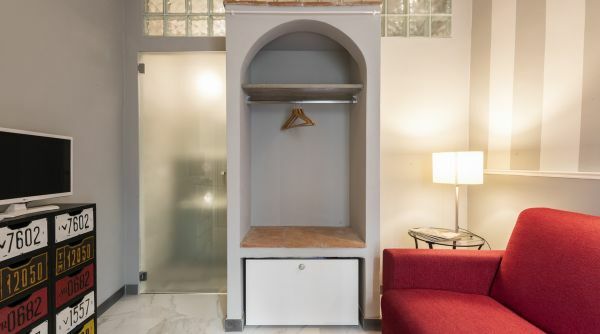 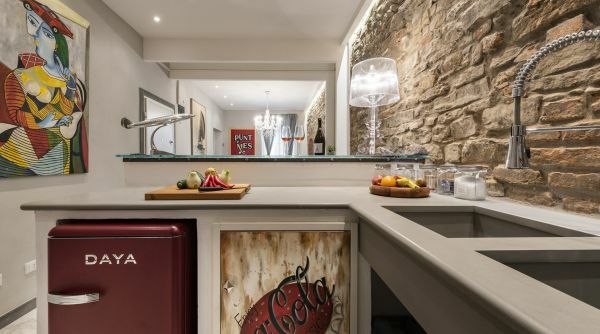 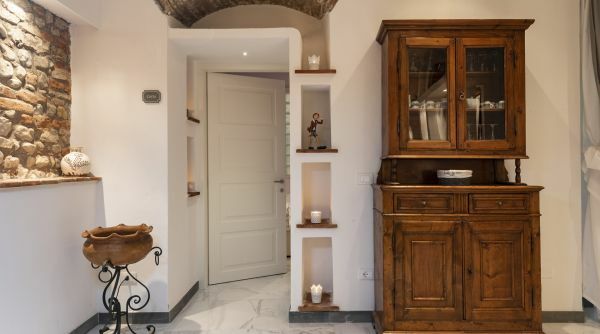 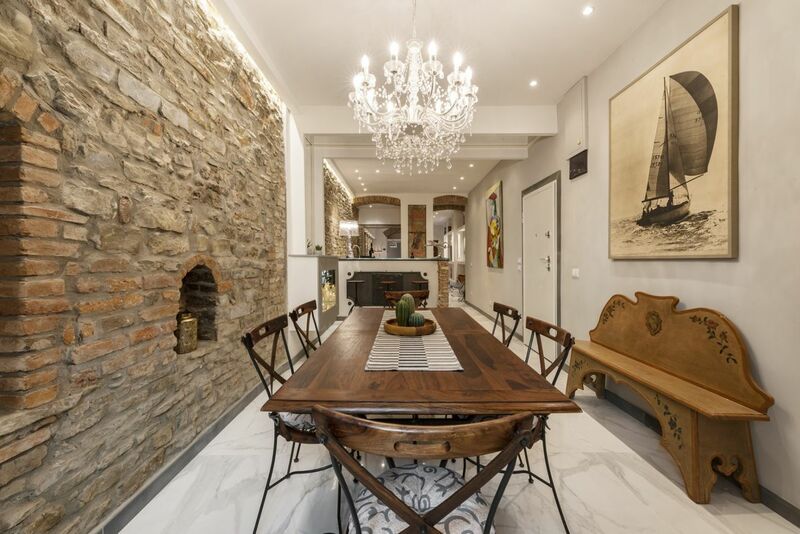 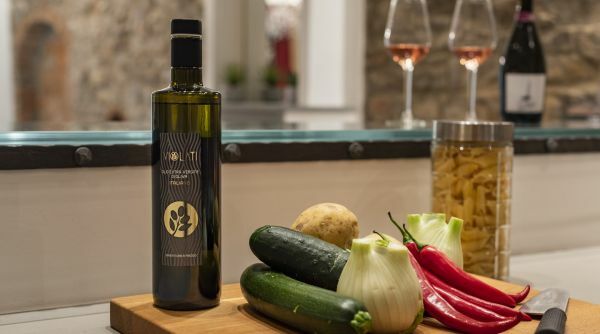 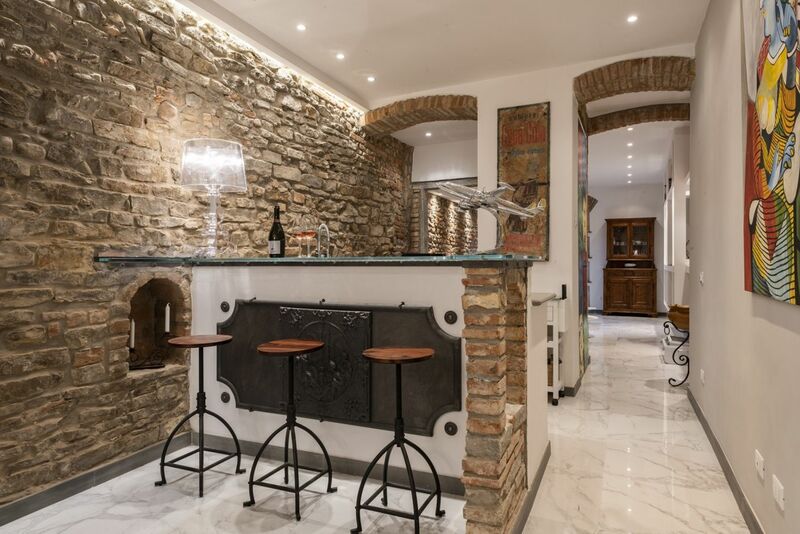 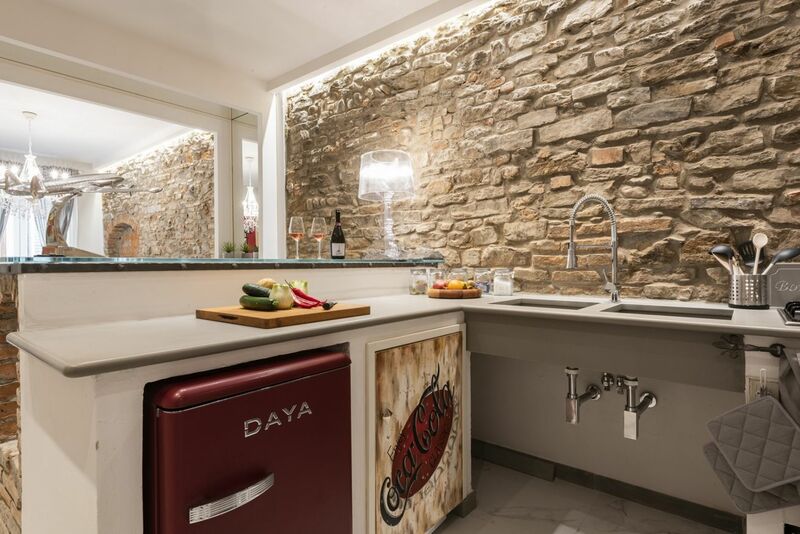 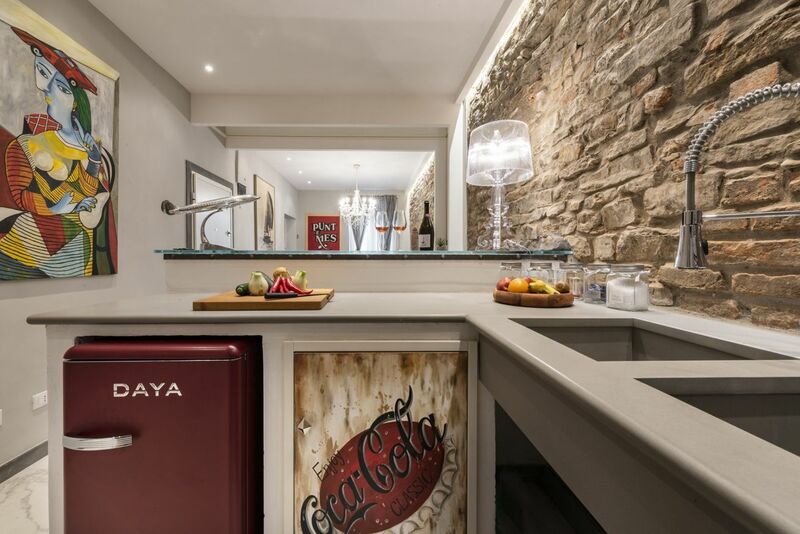 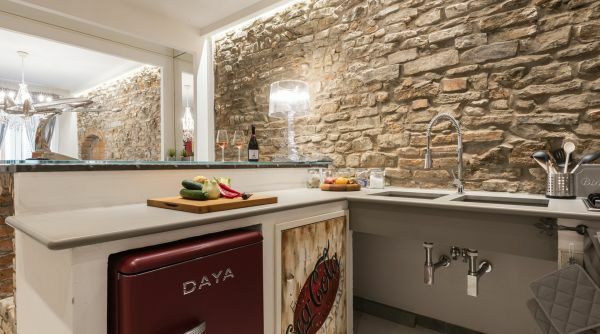 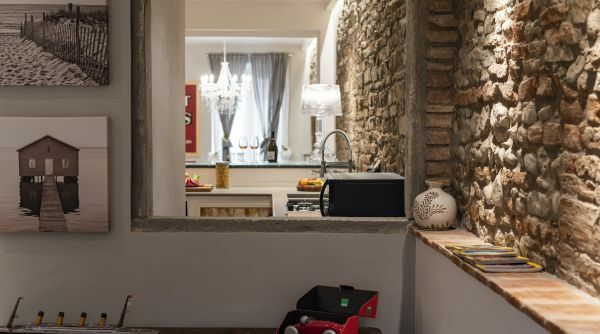 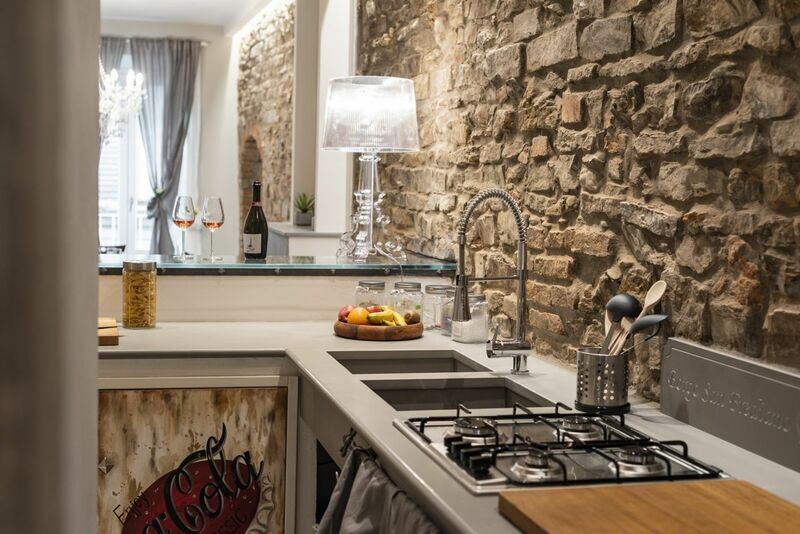 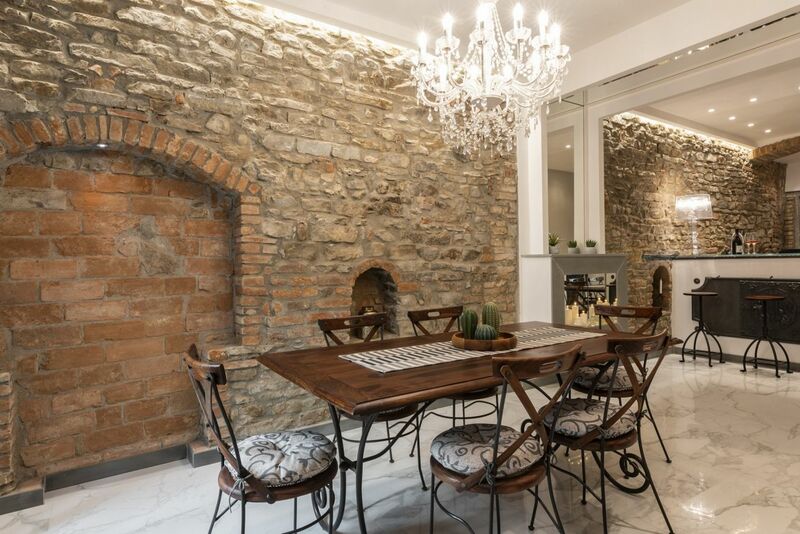 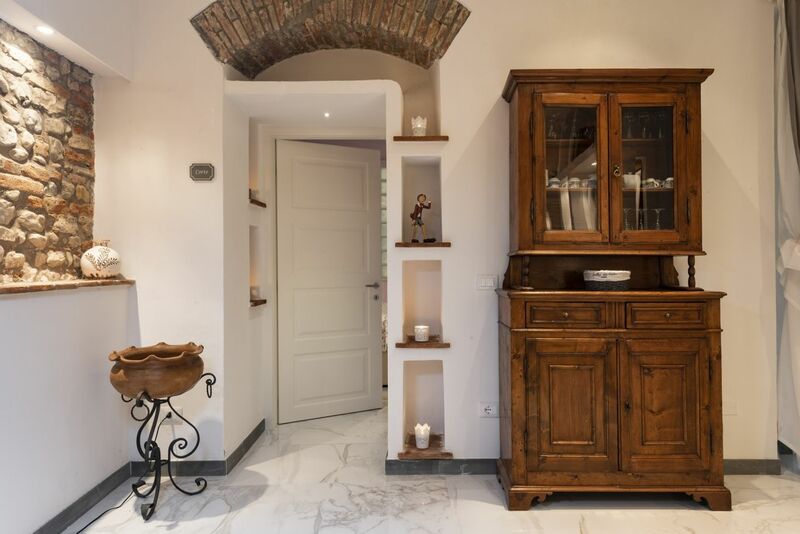 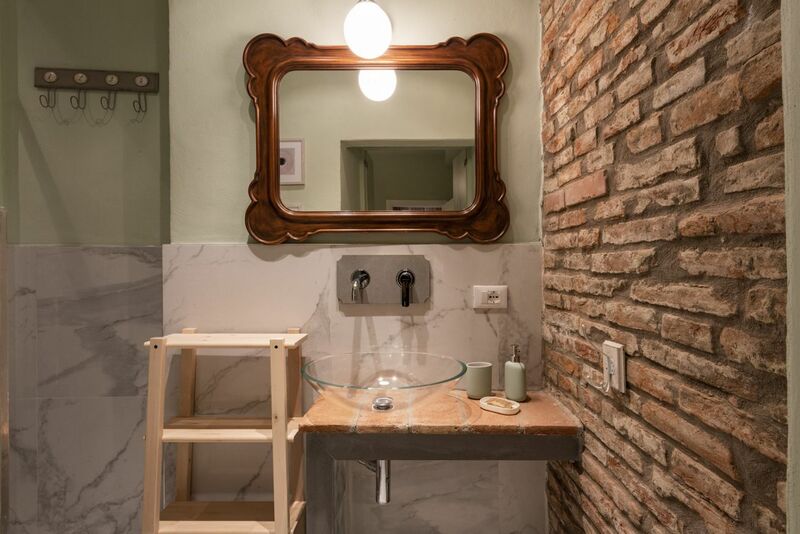 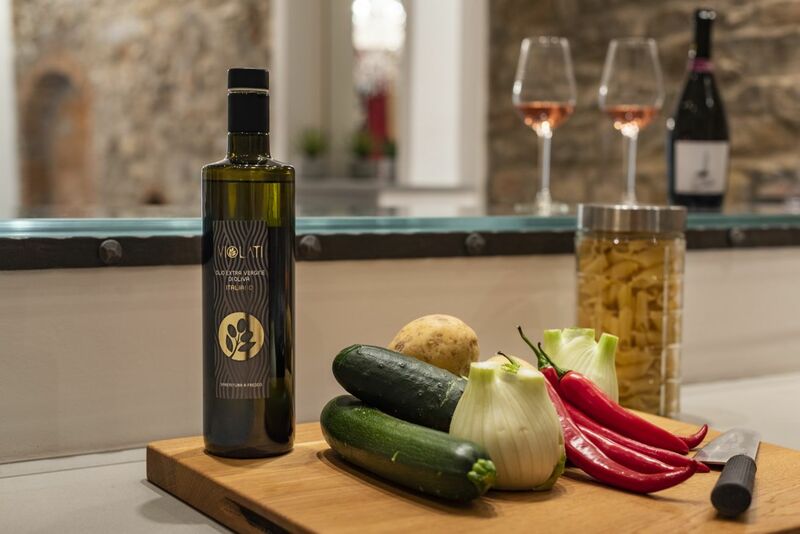 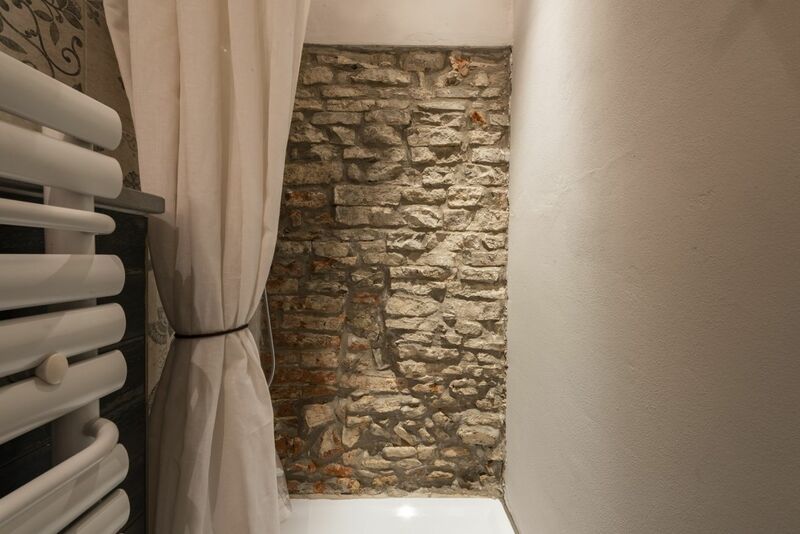 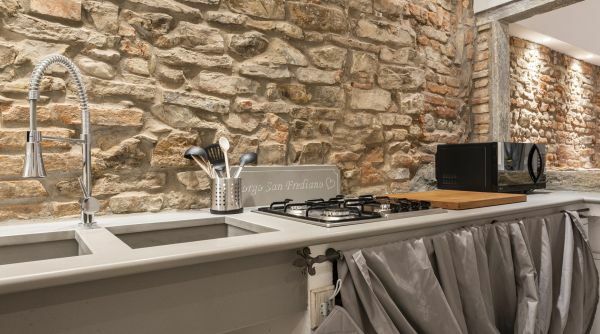 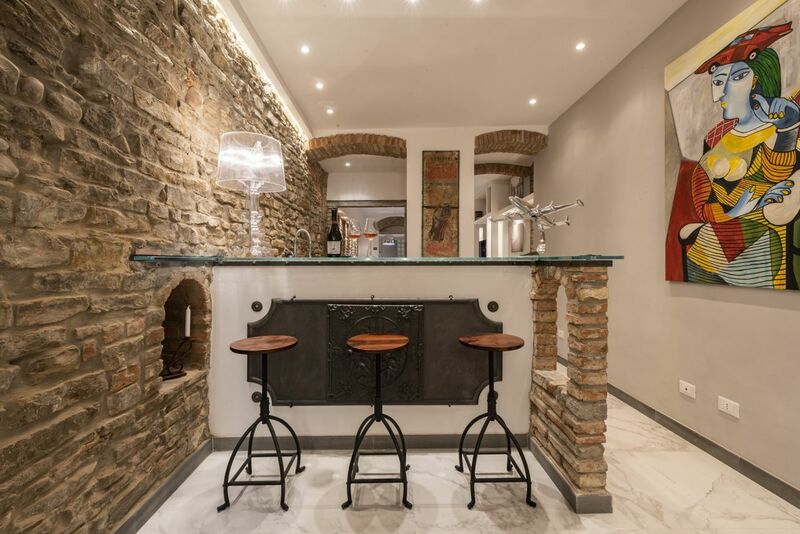 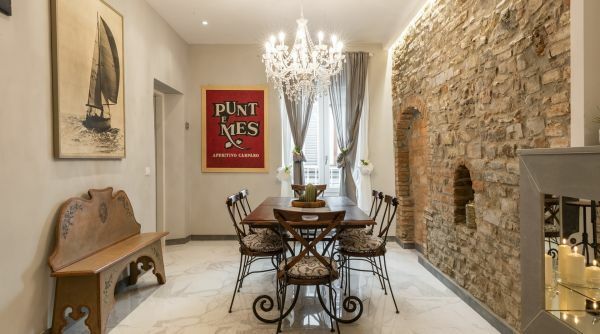 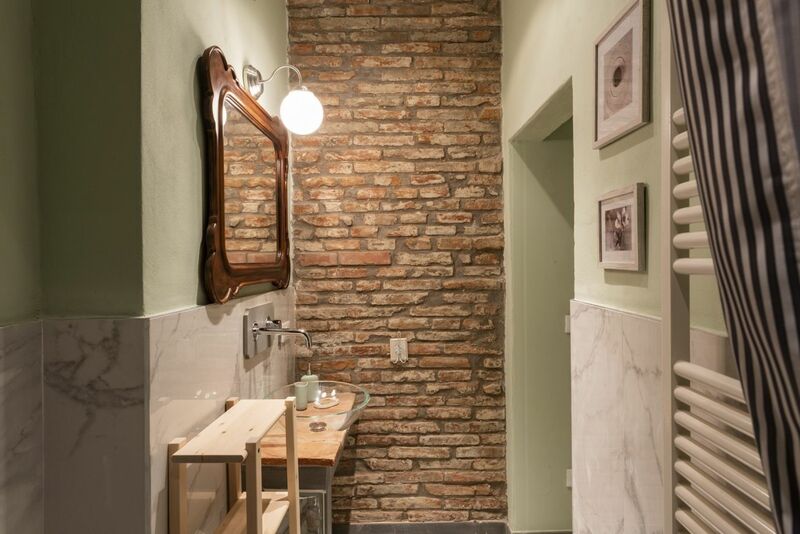 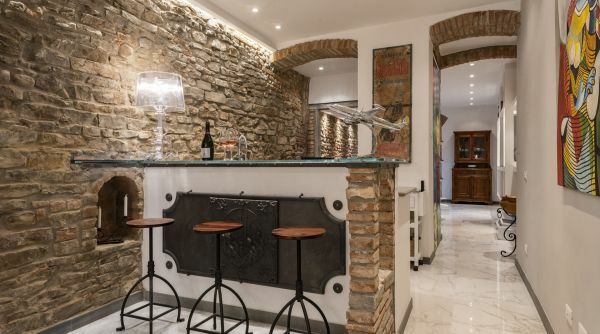 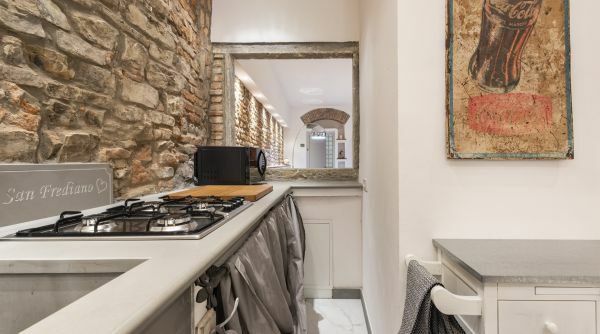 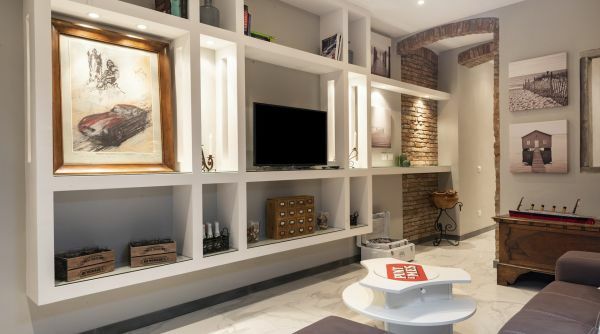 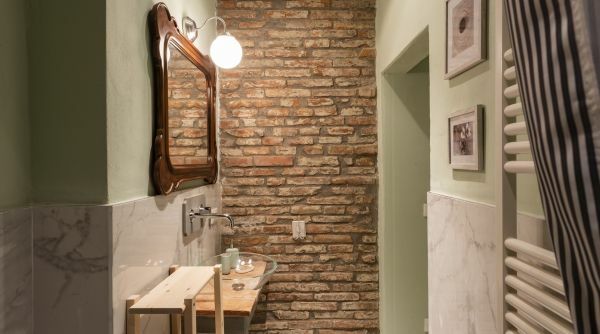 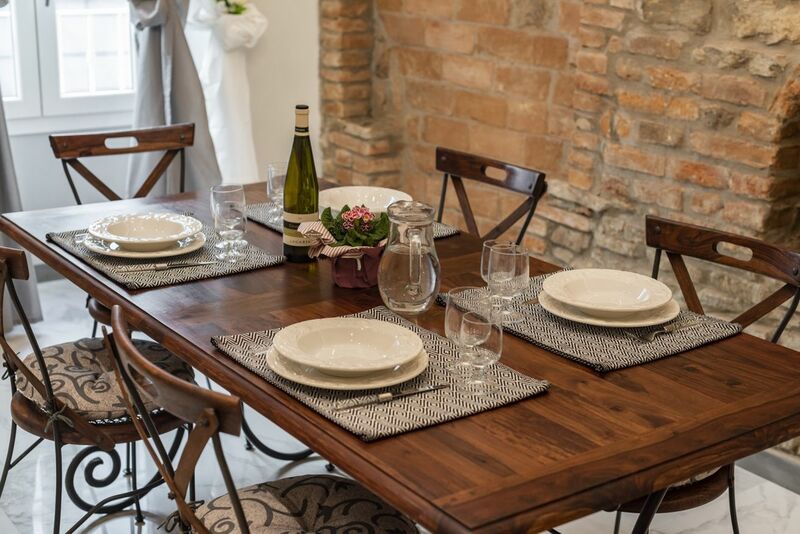 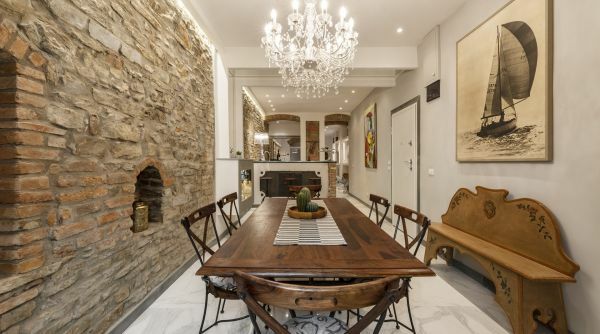 Then on the right hand side, you will find a fully equipped kitchen, with all the utensil you need to cook your favorite dishes; this area is connected with the living room through an opening on the exposed brick wall and an arch, adding character and tradition to the whole space. 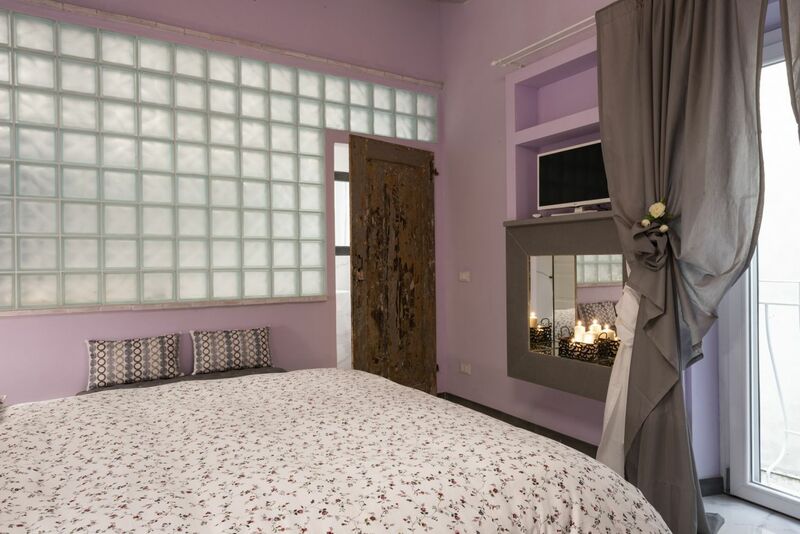 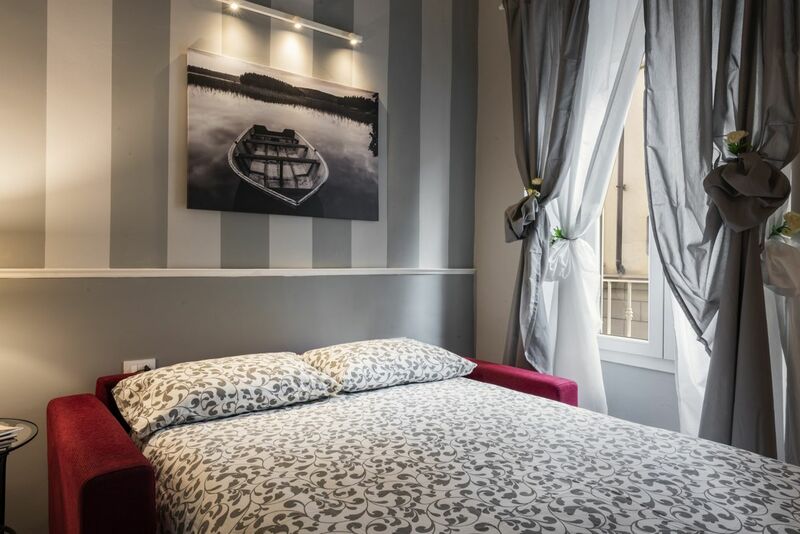 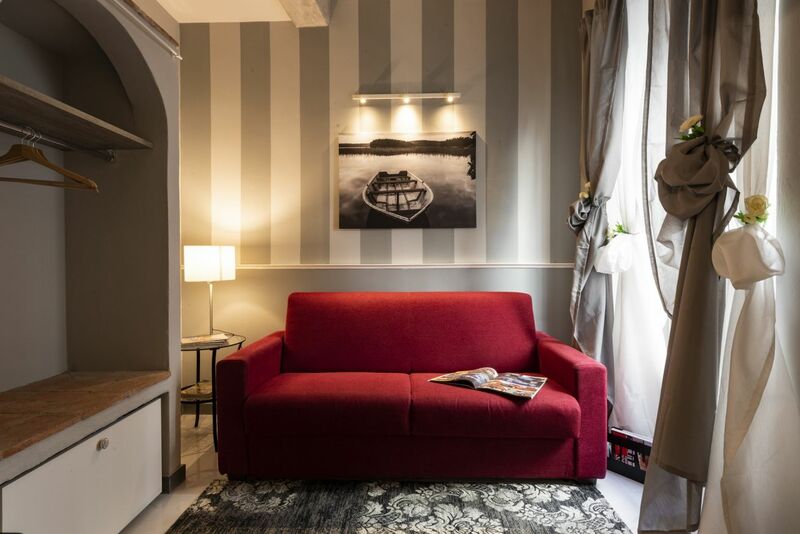 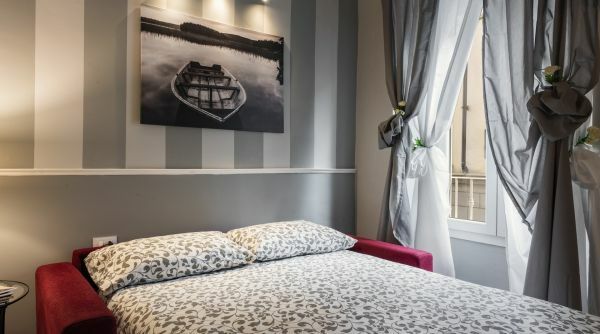 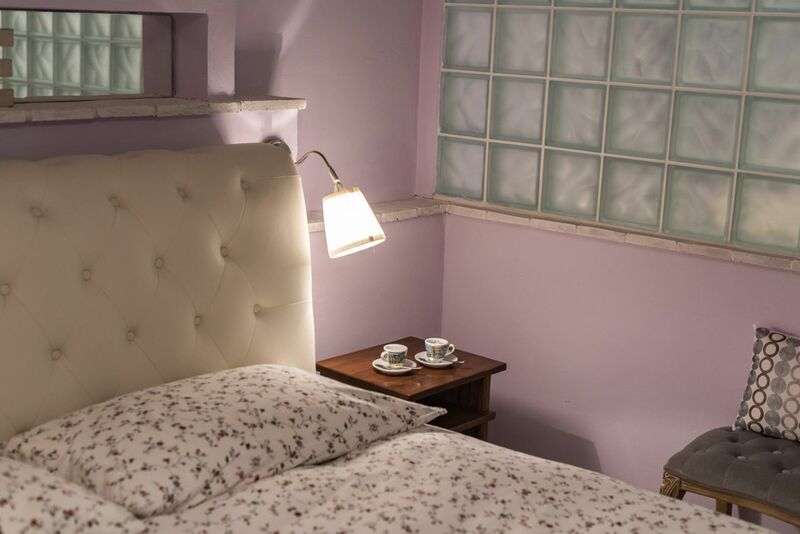 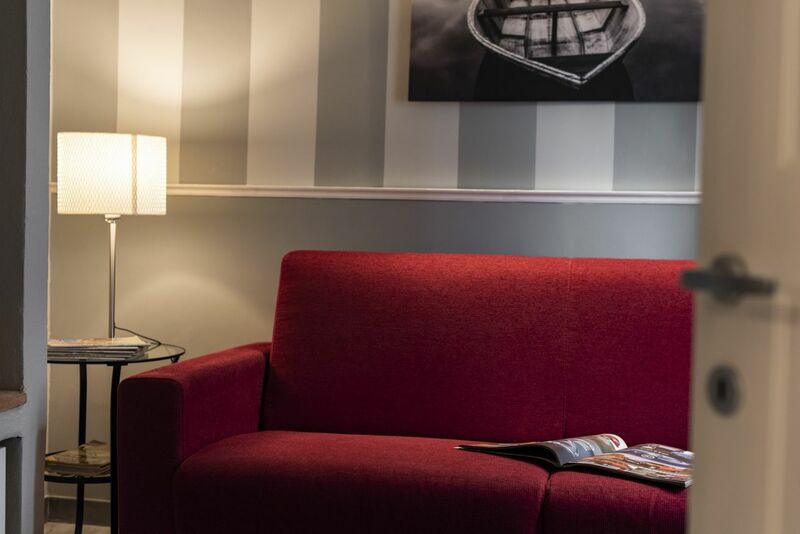 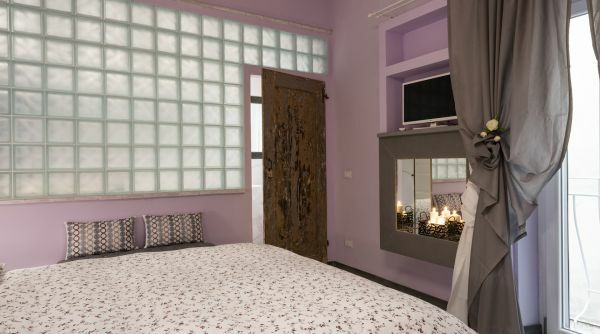 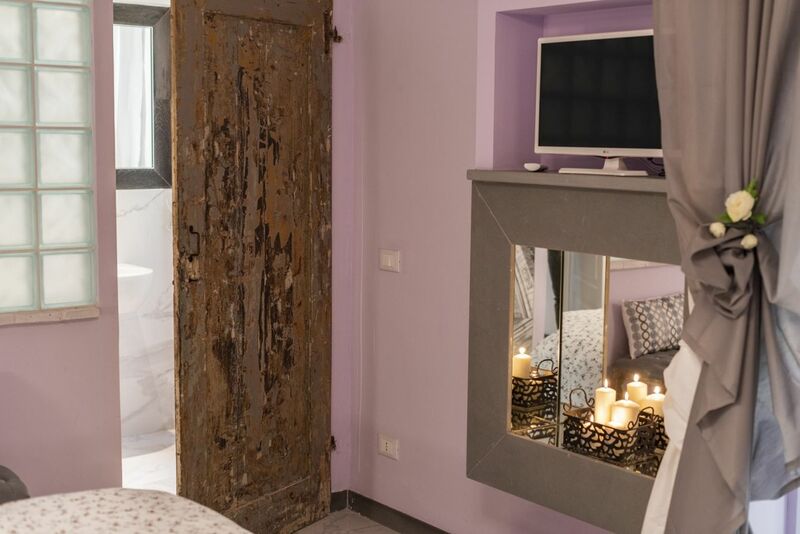 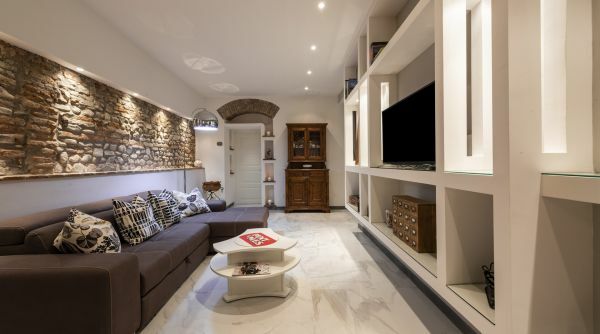 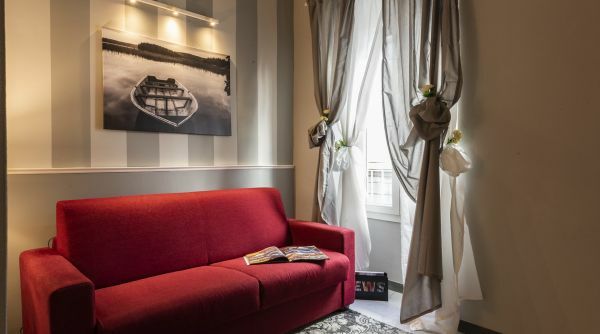 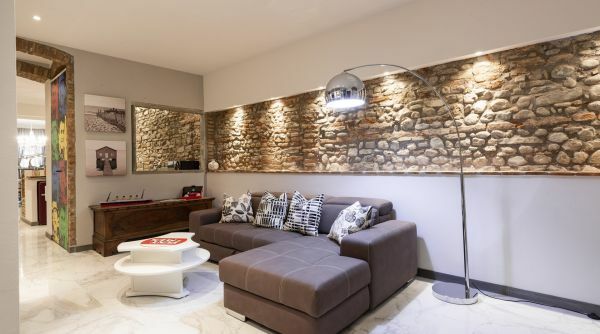 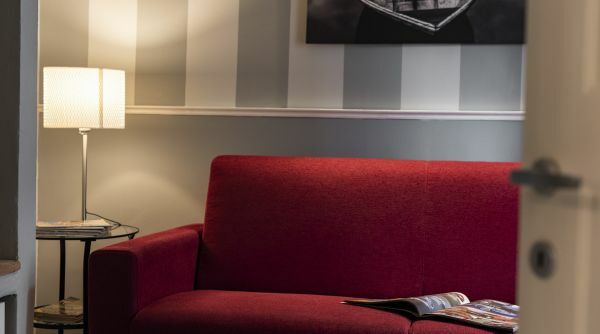 The living room is furnished with a large and comfortable sofa bed and TV set, ideal to rest after a day of sightseeing and walking the streets of Florence! 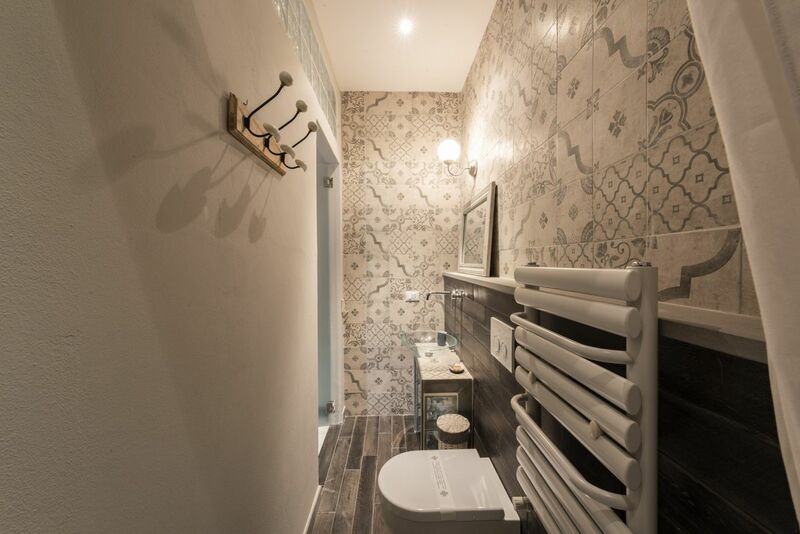 Further down there are other 2 double bedrooms, one of them with an ensuite bathroom, and another bathroom. 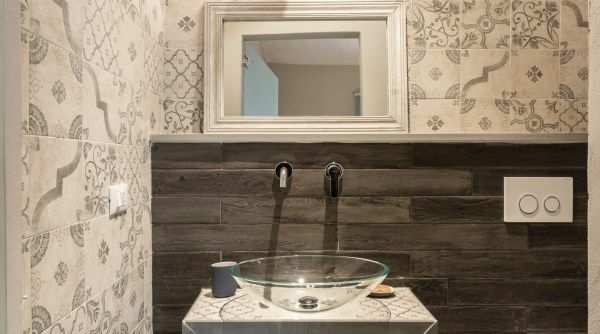 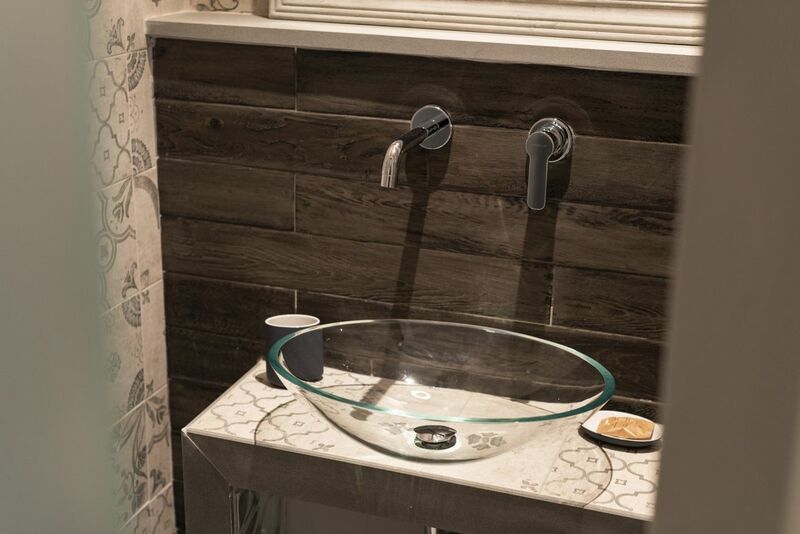 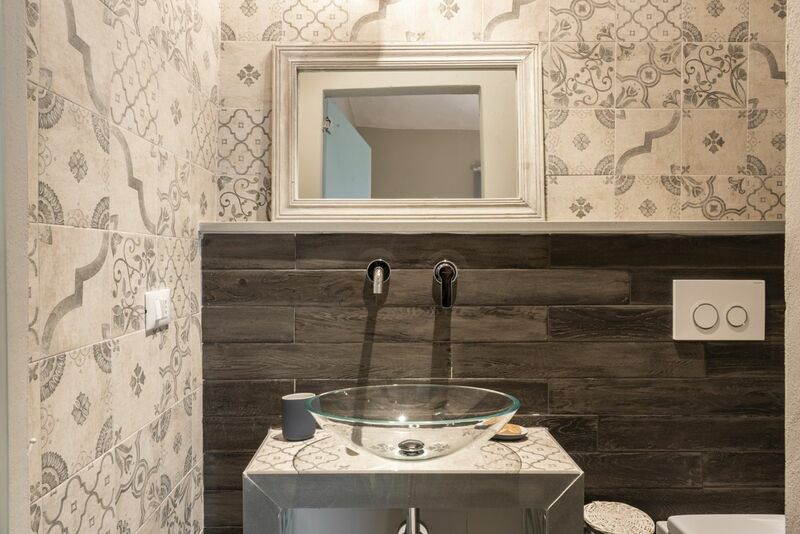 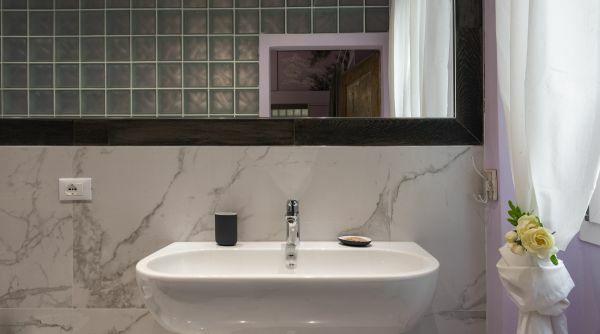 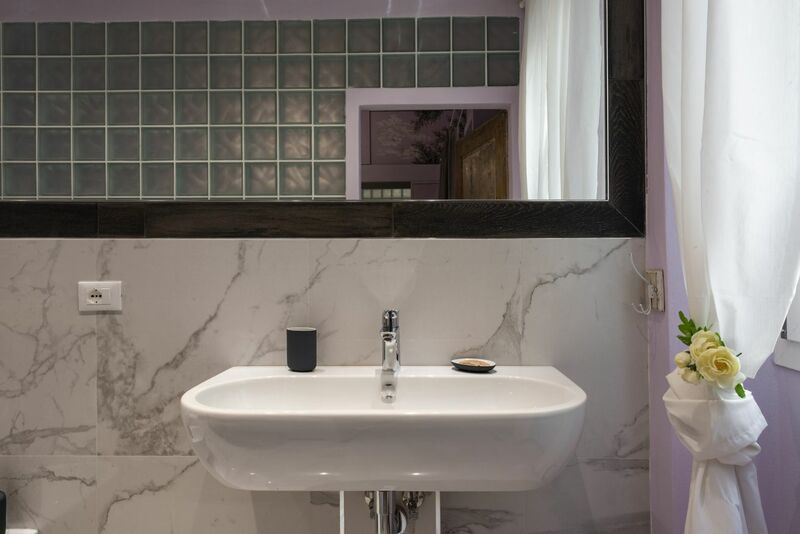 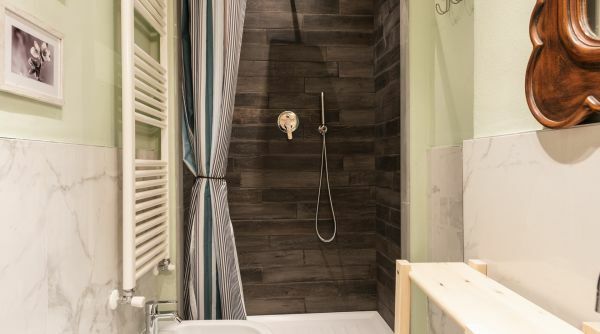 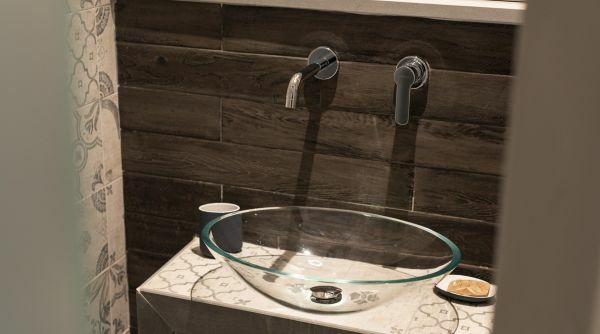 Both bathrooms are renovates in a fresh and modern style. 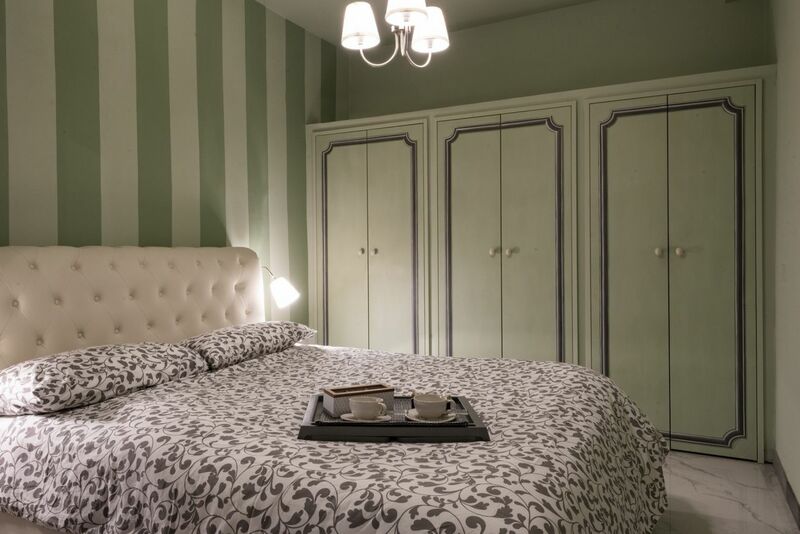 The bedrooms are furnished with double beds, storage space and all you require to have a pleasant sleep.